The trouble with triangles is keeping the points sharp. This class gives all the tips and tricks to avoid a 'pointless' quilt. The Flying Geese and Pinwheels are made with ease. 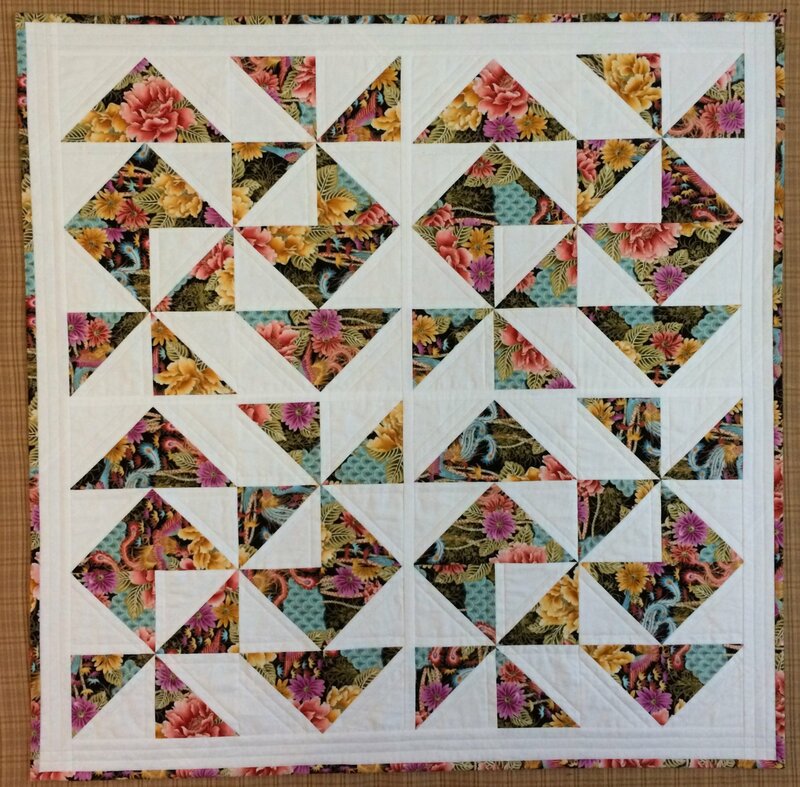 This class adds a bonus of extra half square triangles for the back of the quilt to make this one reversable. Narrow sashing on the front and back helps with construction after quilting.